This post from the townland of Ringneill has been a long time coming. I drove along the Ringneill Road in July 2015, and stopped to take this photo. 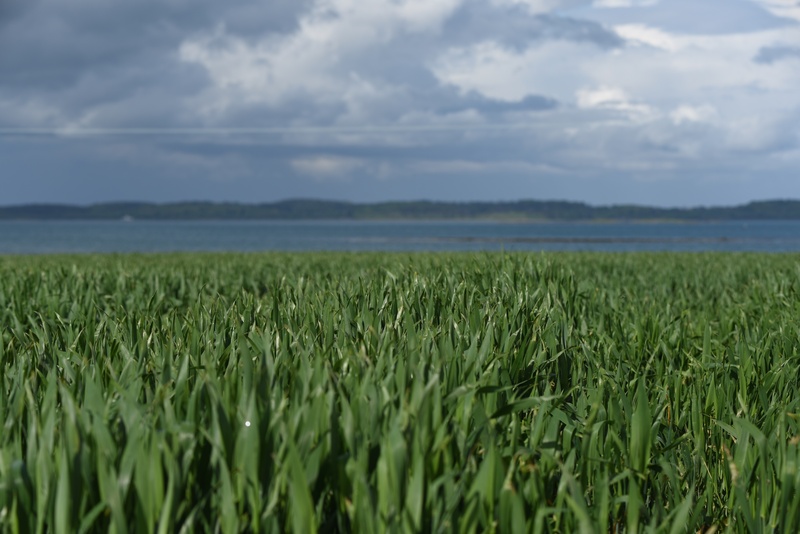 Since then, the barley (or is it wheat?) 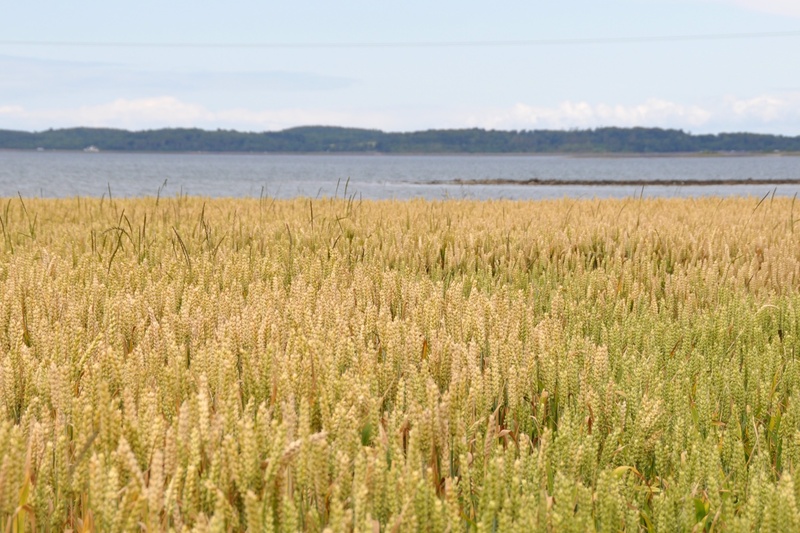 has been harvested, and a new crop of wheat (or is it barley?) is growing. The water in the background of both photos is Strangford Lough. 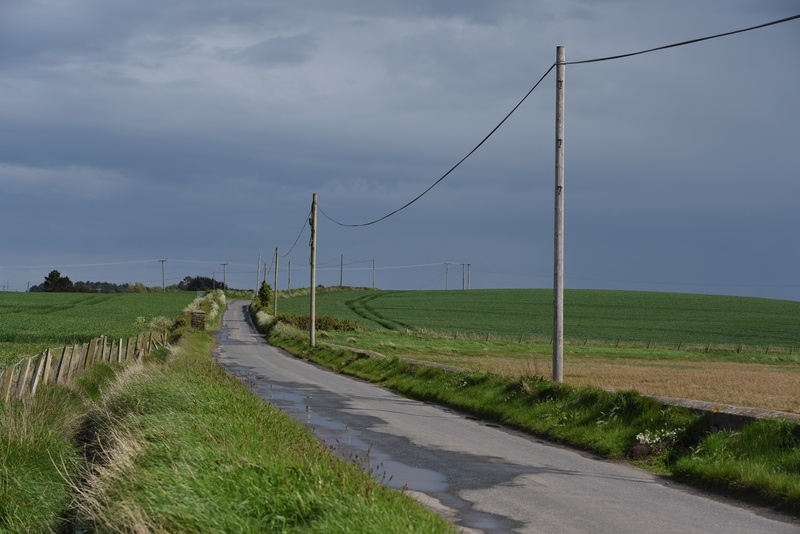 The townland of Ringneill sticks out into the lough, about four or five miles southeast of Comber. 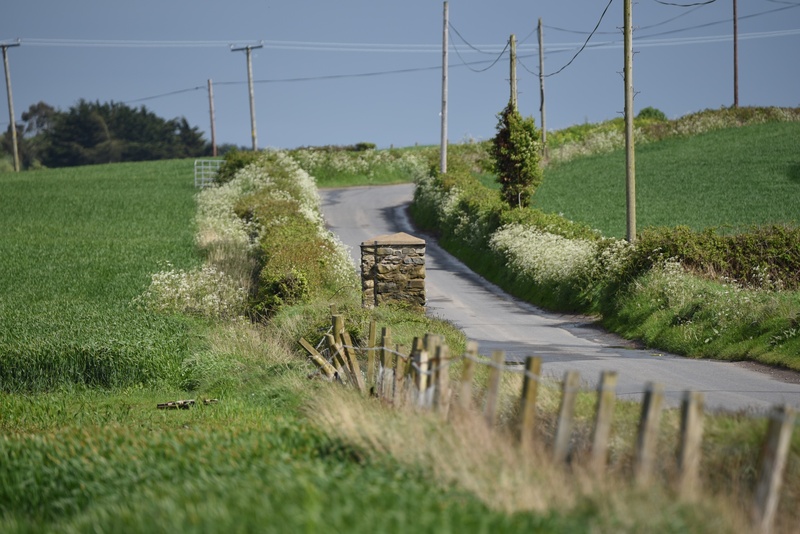 To reach it from Comber, take the Ballydrain Road and then turn left on to the Ringneill Road, which looks like this. As always, I focused on the fences and gateposts. Over the hill in this picture, the road winds on and down to the causeway connecting the mainland with Reagh Island and Mahee Island. Patrolling the end of the promontory this week, close to the causeway to Reagh Island, was this lovely group of eider ducks, complete with six ducklings. 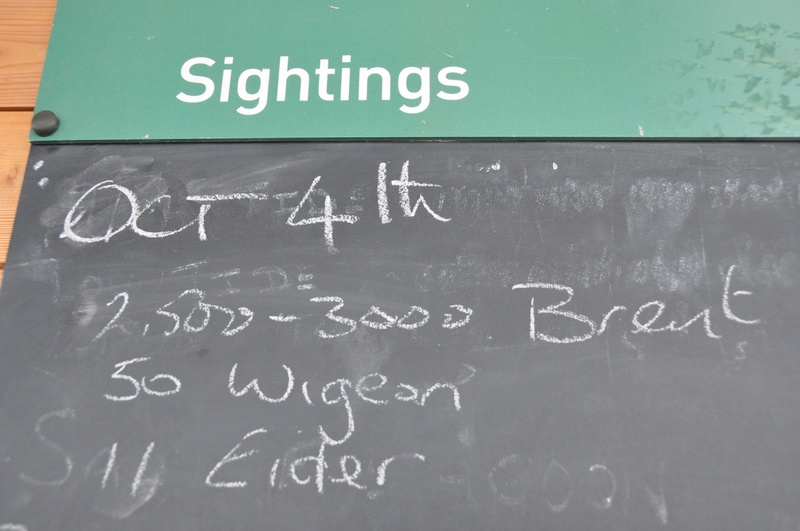 On an earlier visit to the Wildfowl and Wetland Trust in the neighbouring townland of Castle Espie, I saw this report of eiders in the lough. 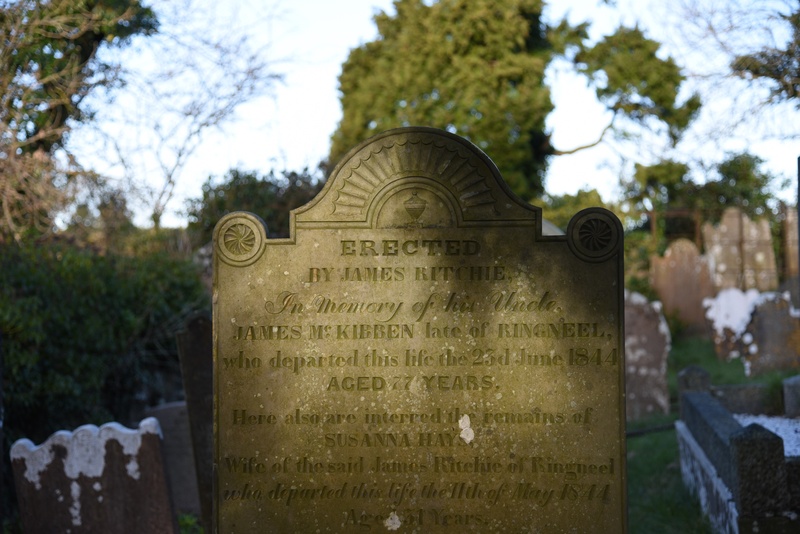 I will finish with a photo from Tullynakill graveyard, of a gravestone with an older spelling of “Ringneel”. 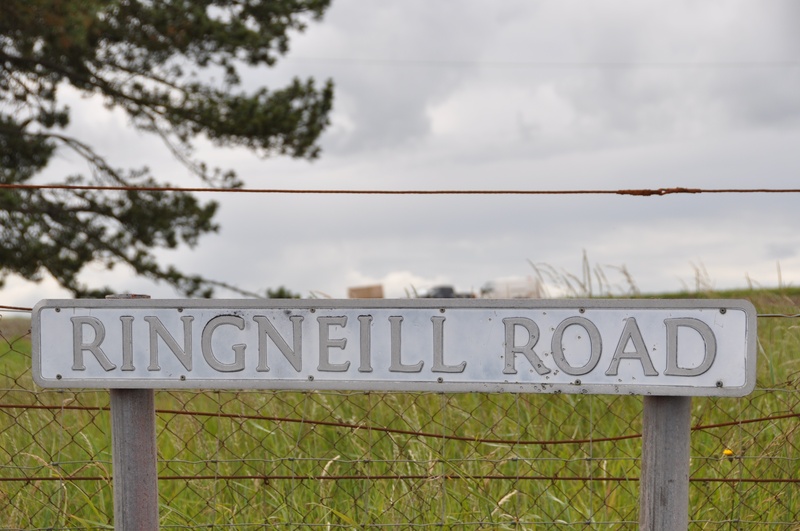 Which townlands border Ringneill? Ballydrain, Tullynakill and Reagh Island. 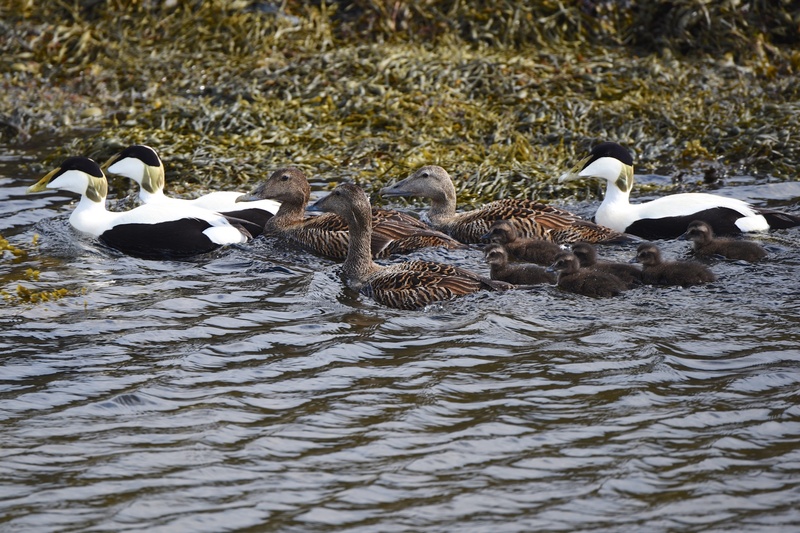 Click here to read about eider ducks.